Hello Lindsey, so where are you from & where are you at, geographically speaking? Lindsey: I was born in the south side of Glasgow, grew up in Glasgow and Ayrshire, and now live in Glasgow. Where, when & how did the idea for Mugstock originate? How is your working relationship with Mugdock Country Park? Lindsey: Our working relationship is great. Without the support of Mugdock Country Park, East Dunbartonshire Council and Stirling Council MugStock wouldn’t exist! How, when & why did you get involved in Mugstock? Lindsey: MugStock were looking for volunteers to get involved in late 2015 after the first festival. I had experience running multi-venue music festivals across Glasgow and Edinburgh, and after helping run G in the Park (Girl Guide of Scotland’s first outdoor music festival) I wanted to be involved in lots more outdoor events. Before joining the team, you spent a number of years in Human Resources & promotions. How are you applying your skills into the development of Mugstock? Lindsey: The first year I joined I was able to use my experience to shape our people strategy: structure of organisation, key roles, role descriptors, interview processes, and general support in people management. My promotions experience was used for social media and PR activities initially but now as Director of Marketing & Communications I’m using my promotion experience to increase awareness of MugStock through all areas of Press and Media. Lindsey: We welcome everyone to apply. Our line up includes many established and up-and-coming performers from the surrounding area. To someone who has never been to Mugstock, what have they got to expect? Lindsey: Expect everything! 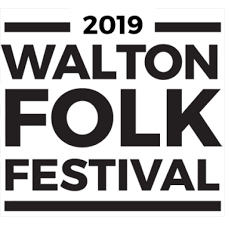 An abundance of great live music, fantastic food, tasty ales and ciders, beautiful surroundings, lots of interesting art, activities for kids (including big kids) and one of the most friendly festival audiences! Will there be a 2019 Mugstock? Lindsey: We hope so! Like most small festivals we rely on people buying tickets and coming to the festival! If MugStock 2018 is successful there definitely will be a MugStock 2019!